Famous local cooking pear variety. Featured on the Worcester coat of arms. A very handsome tree. Image 'Black Worcester' 17th Oct. Right 24th April. Distinctive flavour and juicy. Bright red leaves in the Autumn. Use in October. 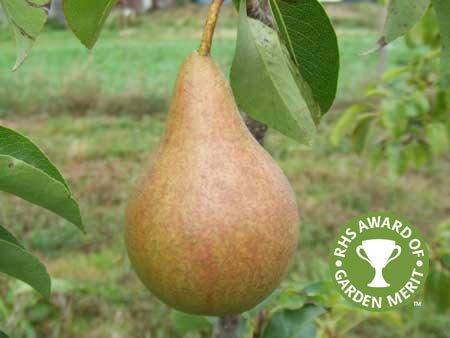 Image 'Buerre Hardy' Pear 12th October. AGM. Conference x Comice. 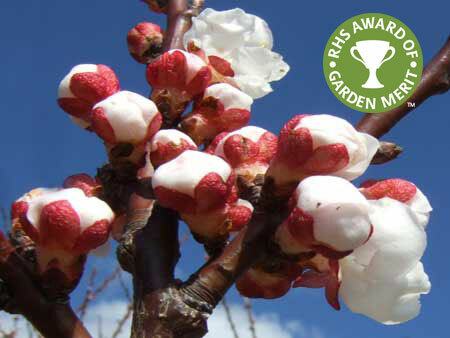 A popular variety with a compact habit, ideal for very small gardens. Use November to December. 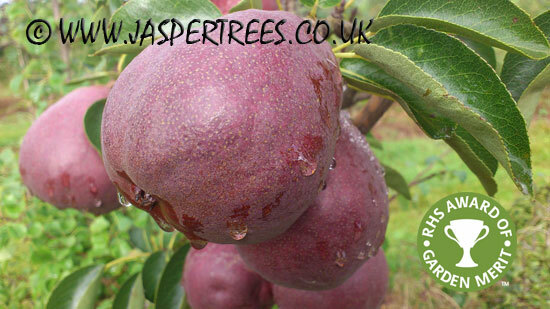 Image 'Concorde' Pear 25th Aug. Right 27th April. AGM. Partly self fertile. 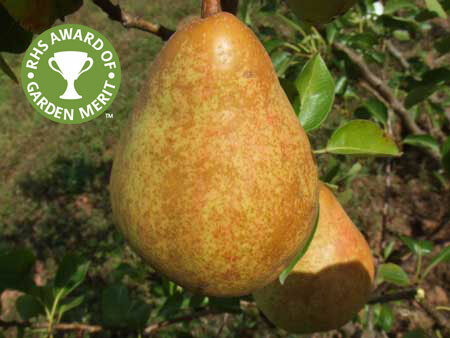 Conference remains the number one pear choice and needs little introduction. Use October to November. Image 'Conference' 18th August. AGM. 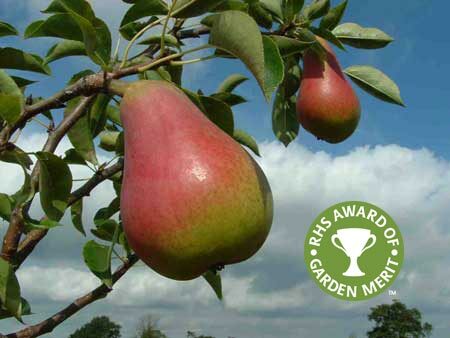 The 'Queen of Pears'. Best taste with a very fine texture. Use November to December. 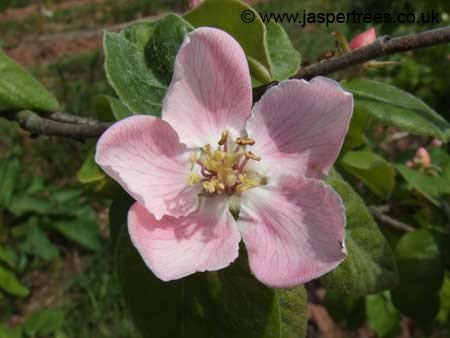 Image 'Doyenne du Comice' Pear 15th October. AGM. A historic local variety. 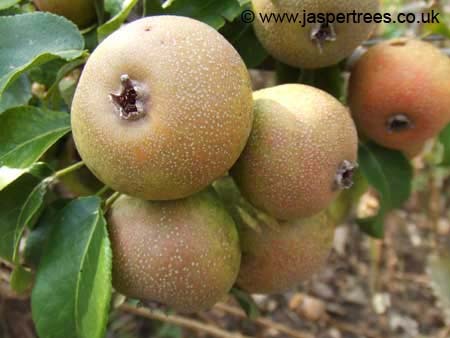 A perry pear with local Herefordshire interest. 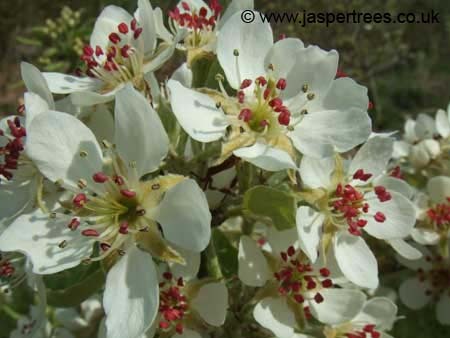 Image 'Holme Lacy' Perry Pear 15th September. A beautiful red leaved form of Williams with a red flushed fruit. Ornamental too. Use in September. 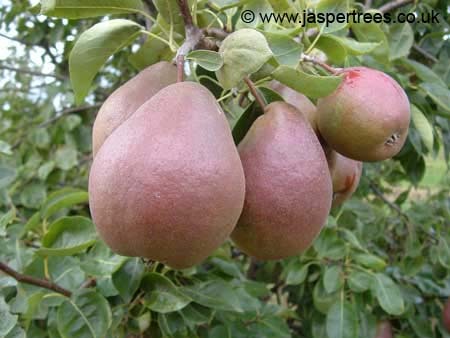 Image 'Sensation' Pear ripening 31st August. 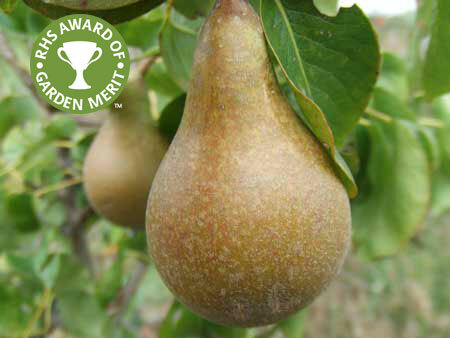 A hardy old English pear variety. Very fine taste. Easy to crop. Use in September. 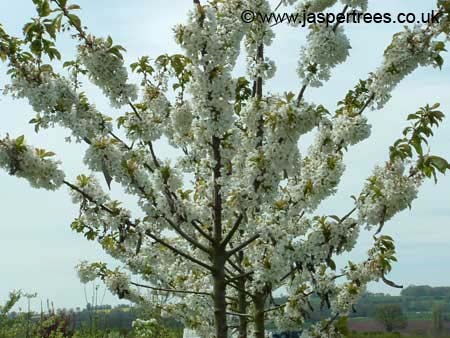 Image 'Williams bon Chretien' Pear 25th August. AGM. Bears its unusual fruits on both the ends of branches and on old spurs. Self Fertile. Pick in November add flavour to dishes after 'bletting'. 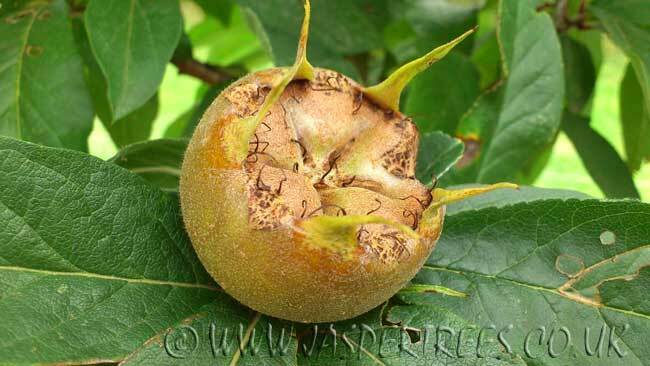 Image left 'Nottingham' Medlar 27th December. Image right in flower 28th May. 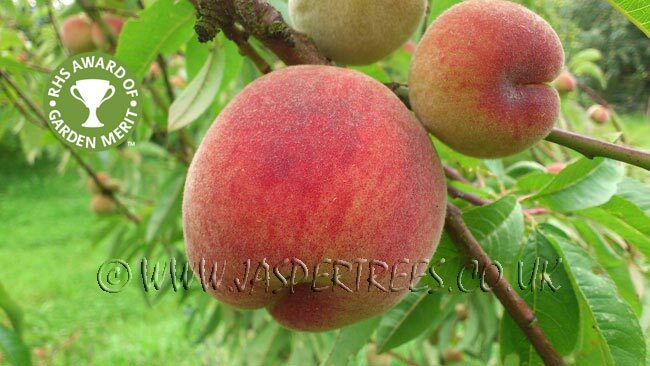 The best peach tree for outdoors. Juicy flesh with a good flavour and reliable. 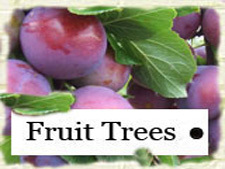 Large fruit and high yields. Self Fertile. Ready in early August. Images 'Peregrine' Peach on the tree... and tray! 31st July. AGM. 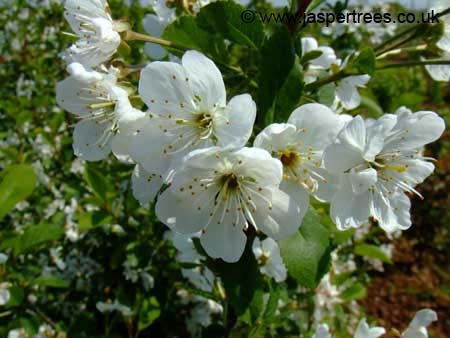 The most popular apricot tree. Orange fruit flushed red. Ready in August. Very reliable cropping even in exposed situations. Self Fertile. 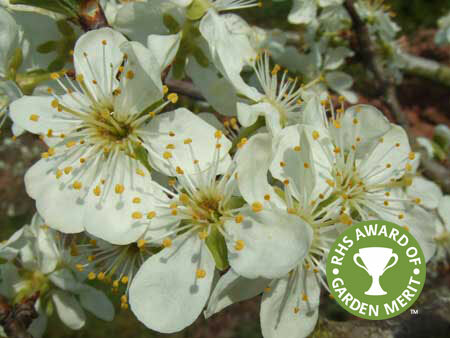 Images 'Moorpark' Apricot 30th July and 'Moorpark' blossom 4th April. AGM. Sweet (eating) dark cherry with large fruits. Very late. Needs a pollination partner like 'Stella' or 'Sunburst'. Compact habit. 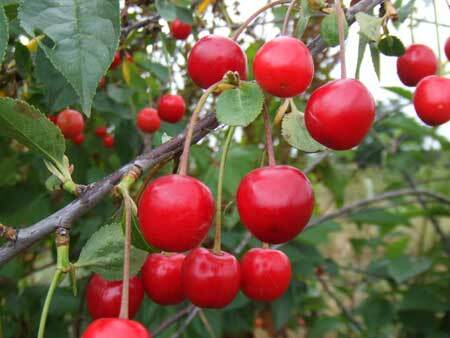 Image 'Colney' Cherry. 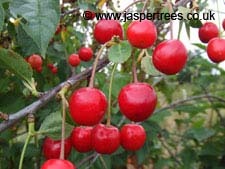 Self fertile sweet (eating) cherry. 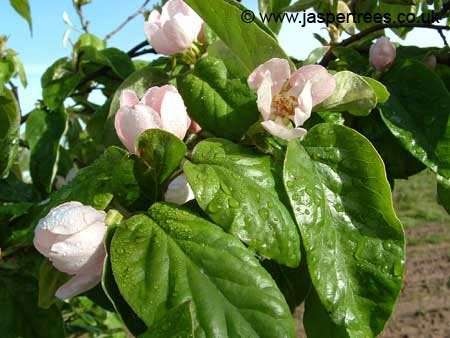 It crops well and regularly and is resistant to bacterial canker. Large dark red fruits in late July. 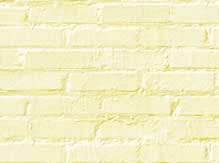 Image 'Stella' Cherry. Image right 30th April. 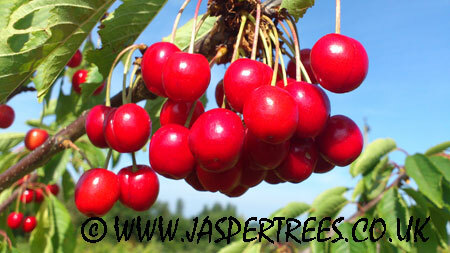 Self fertile acid cherry. Fruit ready in July. 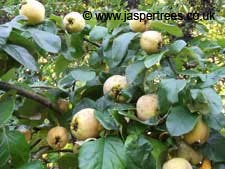 Cooking variety but can be eaten from the tree when fully ripe. 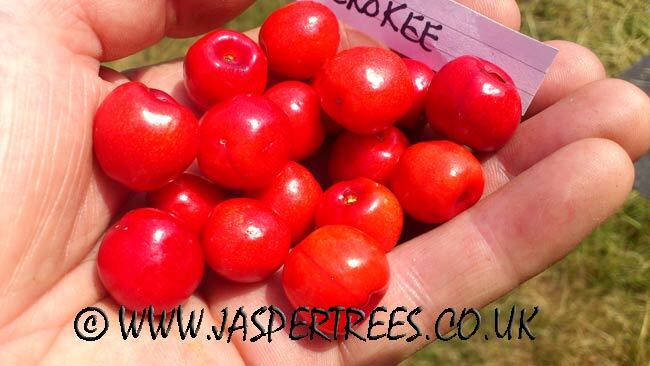 Image 'Morello' Cherry 14th July. Right 11th May. 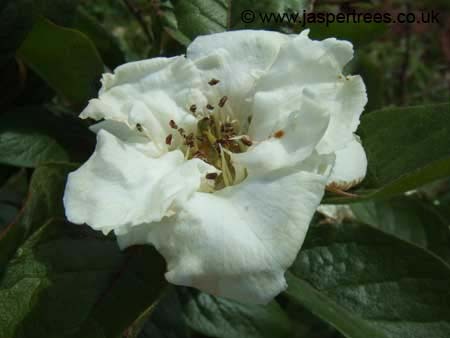 Identical in habit to 'Morello' and with the same beautiful blossom. This strain is said to be a more prolific cropper though I am a little sceptical about this. This plum is ready in mid August. 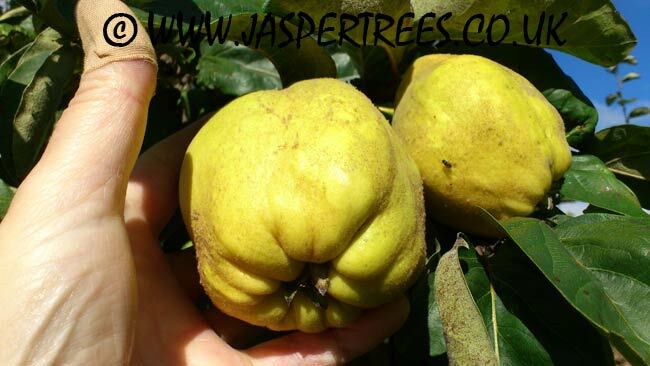 Has large red fruit and sweet juicy orange flesh. Very healthy and disease resistant. 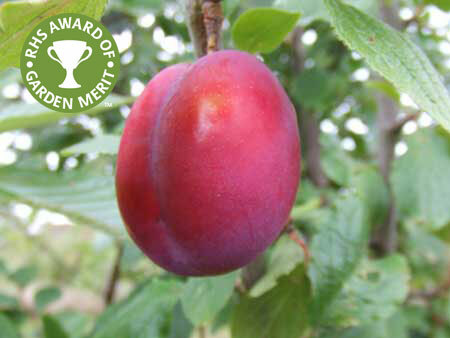 Image 'Avalon' Dessert Plum 18th August. Gages ready in early September. 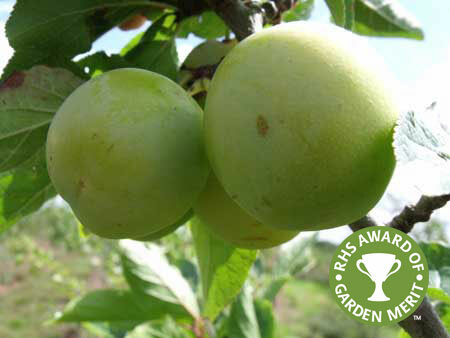 An improved strain of Old English Greengage, identical in appearance. Image 'Cambridge Gage' Gage 10th August. AGM. Excellent cooking and eating plum. Good frost resistance. Ready in early August. Image 'Czar' Dual purpose Plum 18th August. AGM. 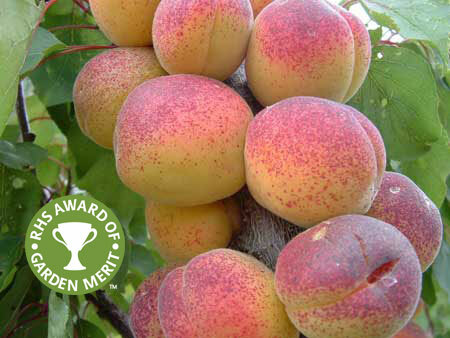 Plum like Gage with excellent reputation for reliability and hardiness. Self fertile. Transparent flesh, sweet taste. High yields and recommended for northern regions. 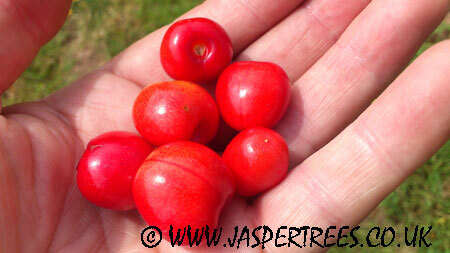 New culinary plum variety that can also be used as a dessert, for use after Victoria in September. Image 'Edwards' Cooking Plum10th August. AGM. 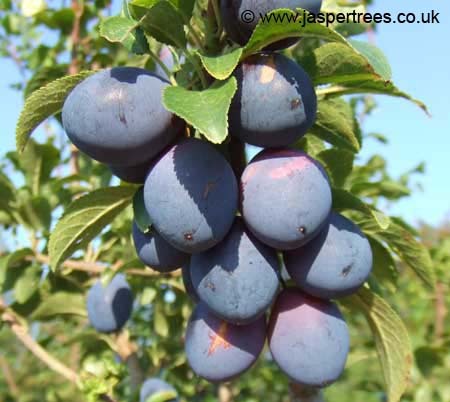 Masses of mediums sized damsons from Late August into September. Self Fertile and frost hardy. 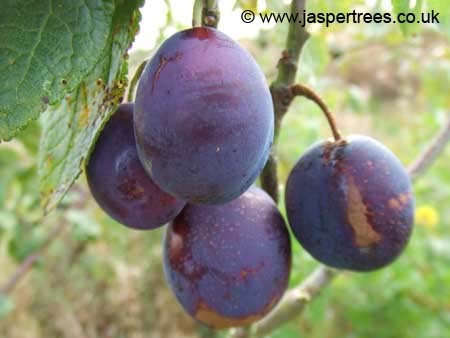 Image 'Farleigh Prolific' Damson 14th August. 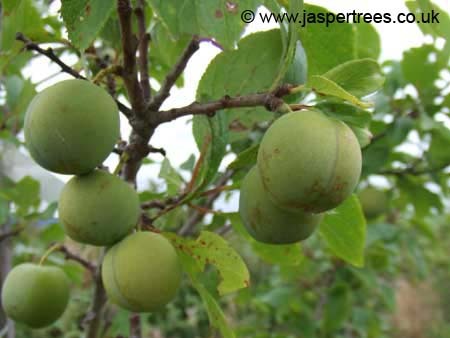 It has the largest damsons and is one of the most popular for eating and cooking. Ready in late September. 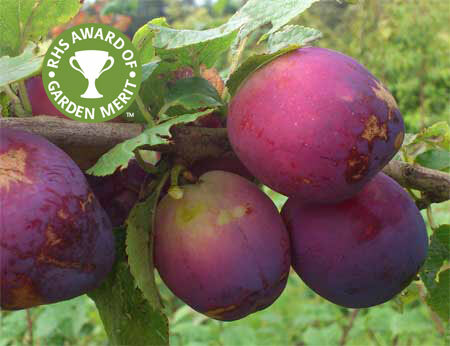 Image 'Merryweather' Damson 19th Aug. Right 20th March. 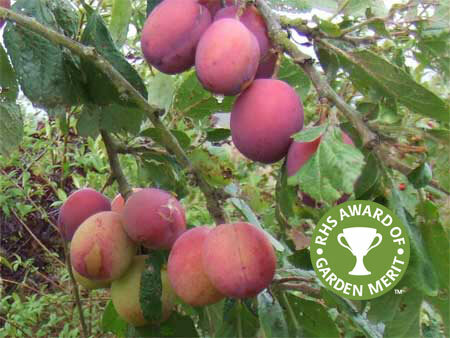 A late plum, ready in September when Victoria has finished. Purple fruits with yellow flesh. Prolific and disease resistant. 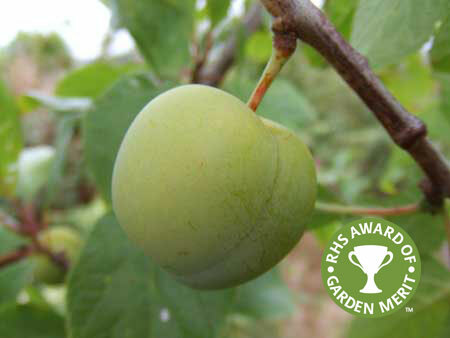 Image 'Marjories Seedling' Dessert Plum 11th September. AGM. Partly self fertile. The gages are ready in early September. A popular choice. Image 'Old English Greengage' Gage 19th August. Self fertile. 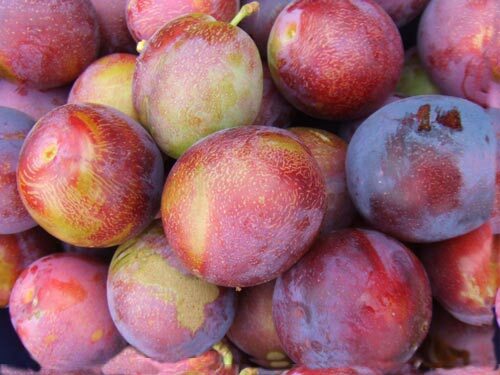 Excellent flavour from this large gage like plum. Ready mid August. Image 'Oullins Golden Gage' Gage 15th August. Right 22nd April. AGM. Known since the 17th century. Self fertile and compact, upright habit. Flesh is yellow, juicy, ready mid September. 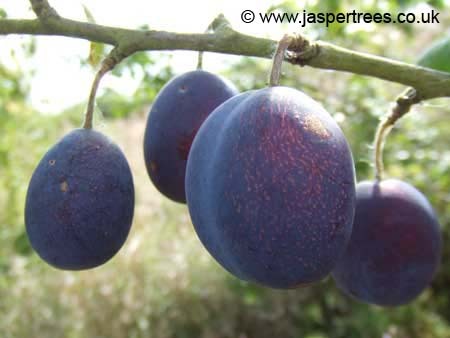 Image 'Shropshire Prune' Damson 22th August. The number one choice. Self fertile. 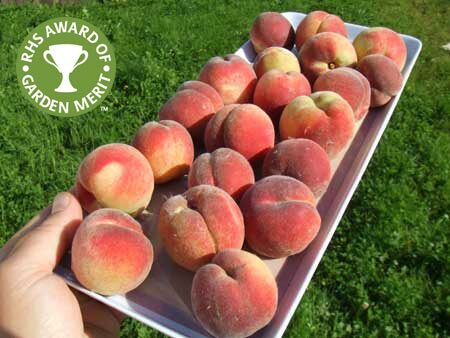 Dual purpose, reliable cropping keep this variety The best seller. Ready late August. 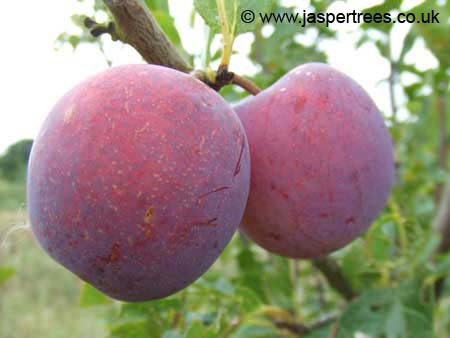 Image 'Victoria' Dessert Plum 26th August. AGM. Extremely reliable. 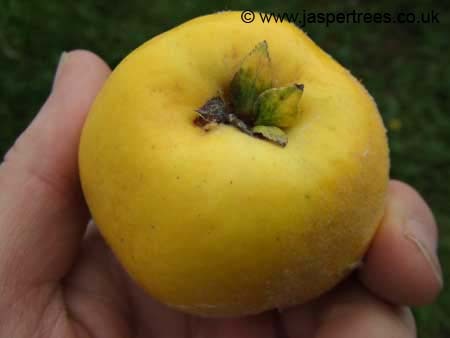 The one for yellow plum jam. Self fertile, frost resistant. Regular cropper. 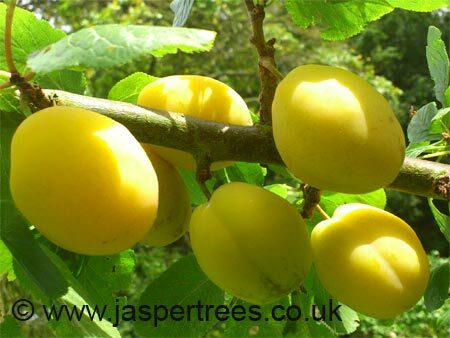 Image 'Yellow Pershore' Cooking Plum 1st August. 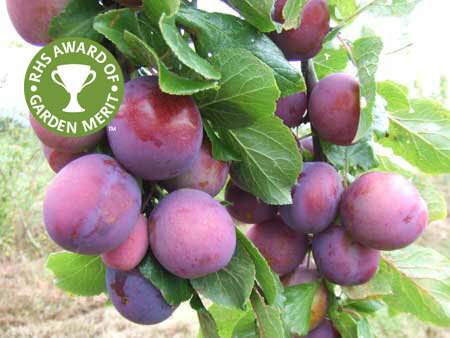 It's reported that just one plum, or a couple of damsons contain approx same amount of antioxidants (phenols) as a handful of blueberries. 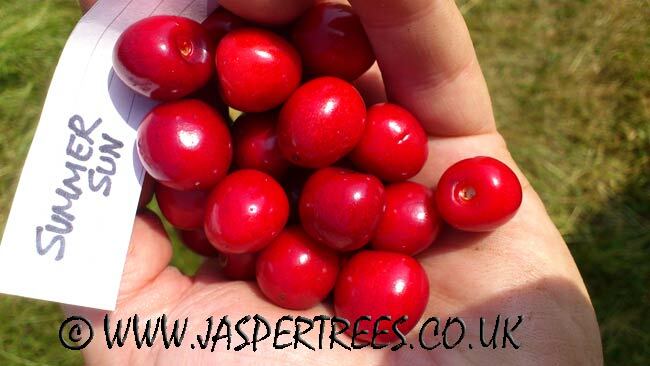 These antioxidants can slow or prevent production of 'free radicals' which can damage our bodies cells"